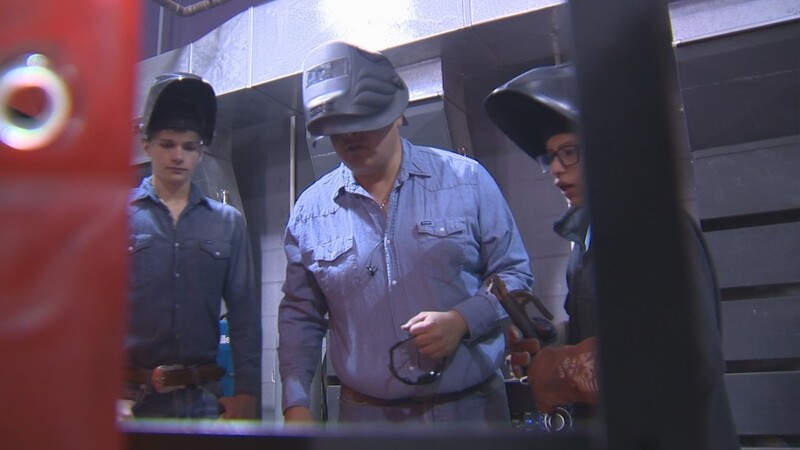 Some Elgin students are learning the craft of welding and getting prepared for their future. ELGIN, Texas — Here on Daybreak, we're starting a new series called "Back to Class," which will highlight some of the more interesting courses offered in school. 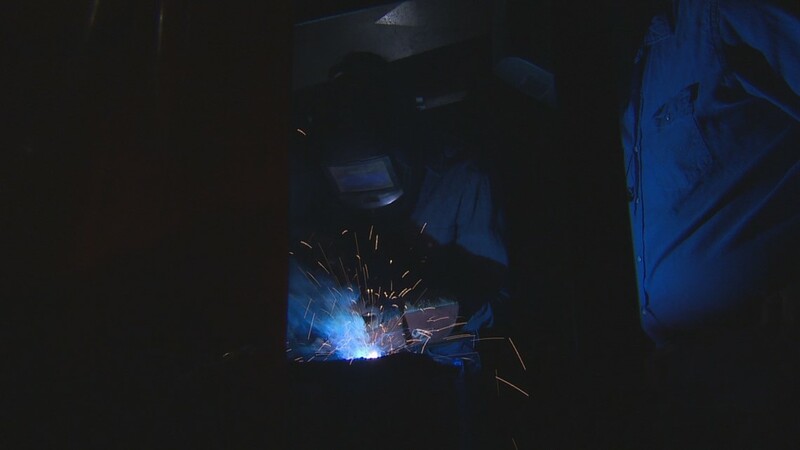 We traveled to Elgin where a high school program is sparking students' interest in welding. Seniors Caitlyn Lopez and Cole Placek have their hands full and their eyes on the future. "I like working with my hands, said Placek. "I enjoy when I'm getting into the activity and really learning what I am doing and feeling the actual motions," added Lopez. Instructor Jason Suarez is guiding them along. "There is a lot of money to be made in the welding industry, especially in Texas. There are a lot of job openings for welding and coming out of high school you can start out at a high pay," said Suarez. 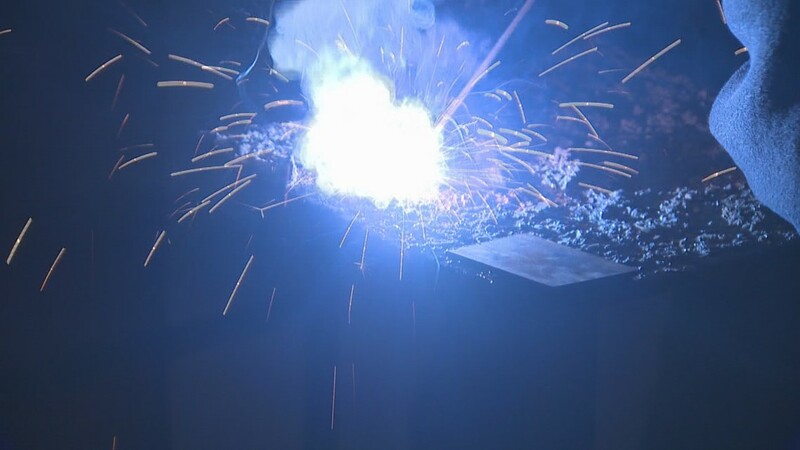 Welding involves melting metal together to make it join. It's a trade agriculture mechanic students at Elgin High School are getting really good at. They spend more than half their day practicing. "It is fun everybody has the same interests in this class," added Placek. But what makes this class especially sweet, is that it's a dual-credit program called "P-Tech," which stands for pathways in technology, early college high school. 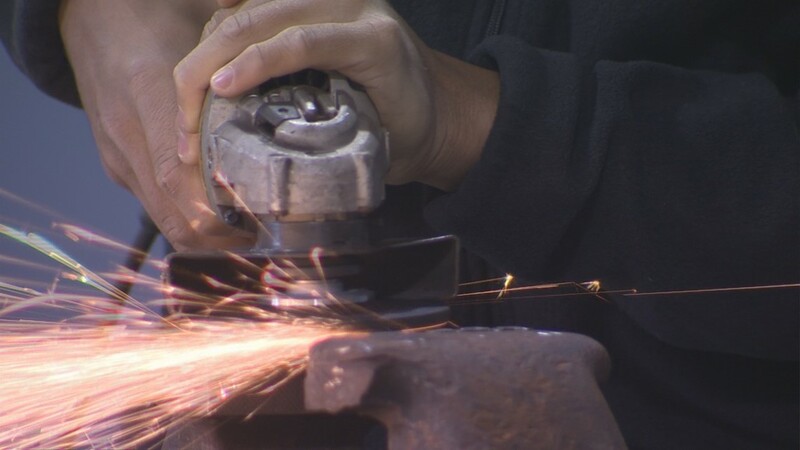 When Elgin welding students graduate, they'll have a high school diploma and earn an associates degree in welding thru Austin Community College, along with a professional certification in welding. Just watching these students work, the trade of welding may seem intimidating at first. "It's really not that hard once you look at it because its all the same technique throughout, using the same wand just in different motions," said Lopez. 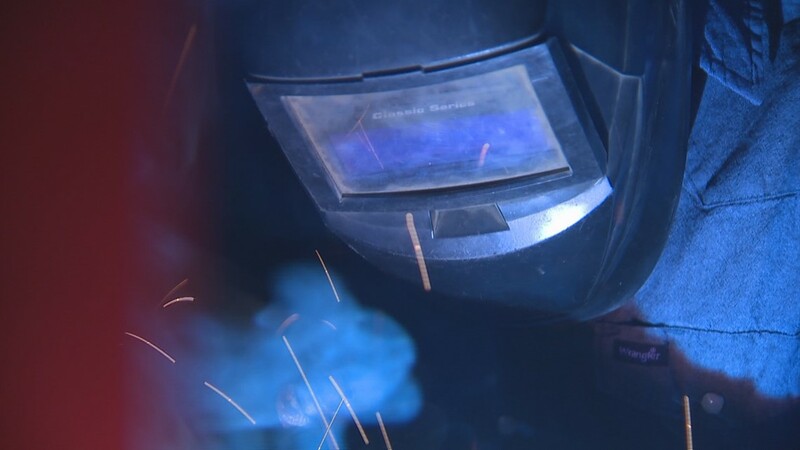 There's plenty of welding terminology thrown around in class and we want to point out that safety measures and procedures are of utmost importance. The students showed us how they run the beads. Suarez is looking for uniformity. "We need to make sure they've got a good looking bead all the way through not just in sections," he added. The goal is for their work to pass a welding test -- or if they were to get into the industry -- an inspection. Not bad, huh? Elgin welding students are learning a skill outside of a traditional classroom, while keeping the bigger picture in mind. "The skills that you can learn in welding are something that can be very helpful, especially on a ranch," said Lopez. "Pipeline or underwater welding, they make a lot of money. While money isn't everything, it is a big priority in the future and so its a good way to start off your career," said Placek. 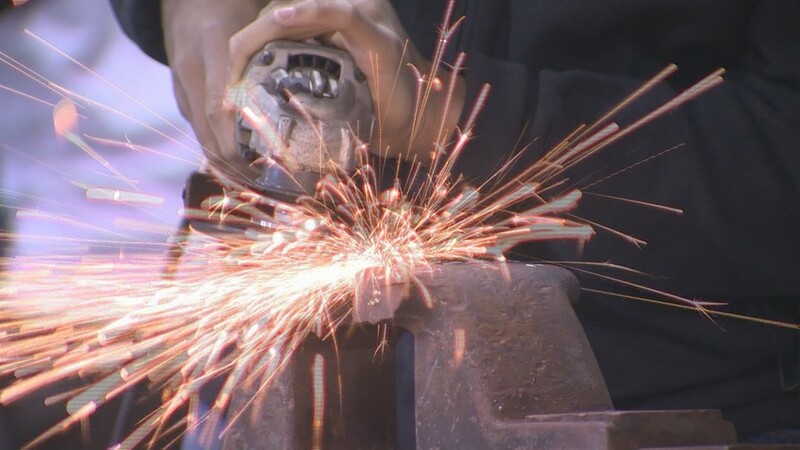 In the summer of 2019, Elgin High School will be expanding their workshop by adding more welding booths, equipment, new ventilation systems.